Your local grocery store contains a wide range of remedies for almost any minor problem that ails you and products which help promote good health. This includes products which address oral health issues. But not all of those remedies and products are found in the pharmacy or dental care section. The produce department is full of natural, organic foods which not only are great for your overall well-being and health, but can also relieve tooth pain and help prevent oral health problems before they start. A wonderful example of the power of natural remedies is ginger. This spice is something of a wonder drug for oral health. Ginger contains both anti-inflammatory and anti-microbial elements. Combine the two and you have one product which can relieve the pain of a toothache as well as prevent the buildup of germs and bacteria that lead to toothaches in the first place. Ginger contains anti-inflammatory substances called gingerols. Toothaches are often – but not always – the result of an infection and swelling in the gums around the affected tooth. By applying ginger to the inflamed area around the tooth, you can reduce the swelling and inflammation, thus reducing the pain until you can get to the dentist to resolve the underlying issues behind your toothache. Simply cut a half-inch thick piece from the main root after scrubbing the outer skin clean. Then, peel the skin and place ginger on the aching tooth. Bite down and let the juices encompass the tooth. Then, swish and swallow or spit the remaining pulp. Ginger’s anti-inflammatory benefits support healthy tissue regardless of whether you’re currently suffering from a toothache. Tooth decay – which leads to toothaches among other problems – is caused by biofilm which accumulates on our teeth and gums. Biofilm forms because of bacteria which grow in our mouths unless we are diligent with our daily oral health regimen and get regular cleanings from a dentist. 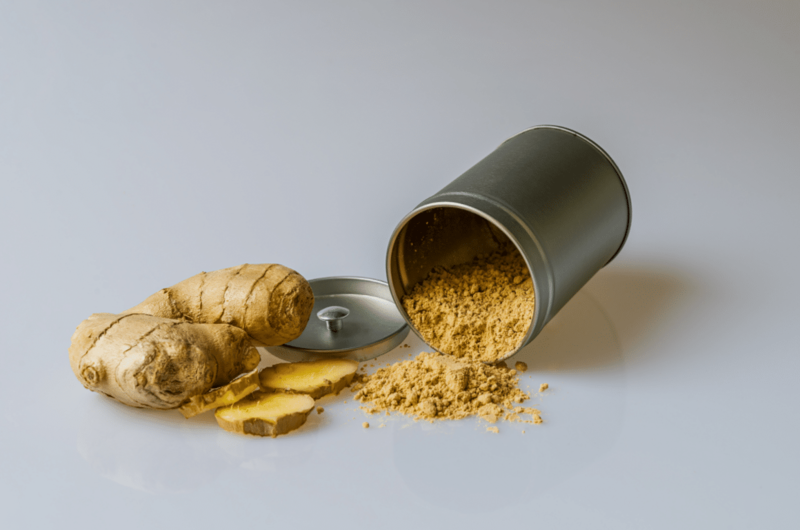 Recent studies, including one from Korea University, have shown that ginger extract contains anti-microbial properties which can help kill bacteria in the mouth, preventing the development of biofilm and reducing tooth decay. The Korean study identified an active ingredient in ginger called raffinose which inhibits biofilm by reducing the production of galactose, a sugar required for bacteria biofilm formation. Recognizing that the foods we consume play a key role in our oral health and overall well-being is part of the holistic approach to dentistry we take at Assure A Smile. We encourage the use of natural foods like ginger to promote good oral health in conjunction with brushing, flossing, and regular dental visits. To learn more about holistic dentistry and how to develop healthier habits for a better you, or to schedule an appointment, please contact us today at 305-274-0047.